U.S. 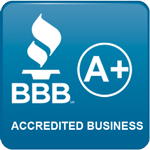 Alert Security is fully insured and properly licensed by the State of Oklahoma. U.S. Alert maintains full liability insurance. All employees are fully covered by worker’s compensation and liability insurance. U.S. Alert’s Central Monitoring Station is a network of redundant facilities located across the country. In case of failure of any facility, one of the other facilities automatically takes over within seconds. 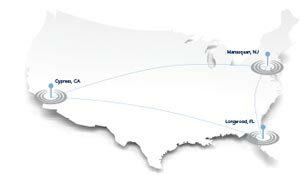 The monitoring centers are located in New Jersey, Florida and California. The Central Station staff are highly trained professionals who are always ready to respond to your emergency. Read more about our monitoring facilities here. U.S. Alert’s Central Monitoring facility is a UL (Underwriter’s Laboratory) listed central station. We do offer financing if you own your home. Ask us for details. Jeremy Young in the President and sole owner of U. S. Alert Security. Jeremy is a veteran of the security industry with more than two decades of experience. 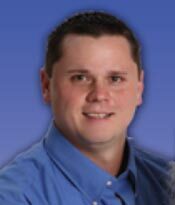 Jeremy is dedicated to professionalism and fast, friendly, personalized service. U. S. Alert’s corporate office is located in Ada, Oklahoma. U. S. Alert also has a sales office located in Oklahoma City. Your U. S. Alert alarm system contains a rechargeable battery that is constantly trickle-charged so it is always ready to take over in the event of a power outage. The battery can maintain your alarm system for hours during a power failure. Be sure to replace your system’s battery if it is more than 2 years old. Rechargeable batteries lose 15-20% of their capacity every year. If you have our special pet-resistant motion detector, a small dog or cat will not cause a false triggering. Check with our representative to see if your pet is small enough to be ignored by the motion detector. Some cities do require a permit for an alarm system. Check with a U. S. Alert representative to see if your city requires the permit. Do you have a question that isn’t listed here? Call us at (800) 957-6111 or fill out the form to the right.